One thing we haven't seen change much in Android over the past several versions is the hotspot feature. I'm sure many of us have used it quite often, but it's one of those things that basically works fine as it is. 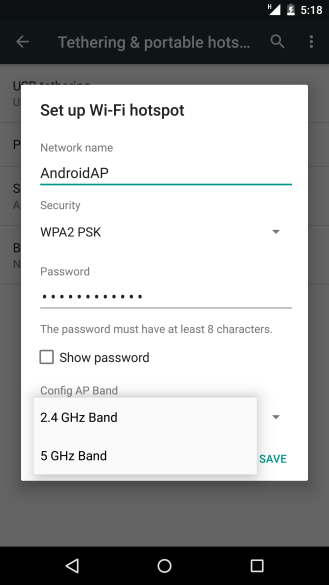 With Android M, however, Google is bumping the hotspot feature up to version 2.0, which includes one somewhat major new feature: the ability to broadcast in 5GHz mode. 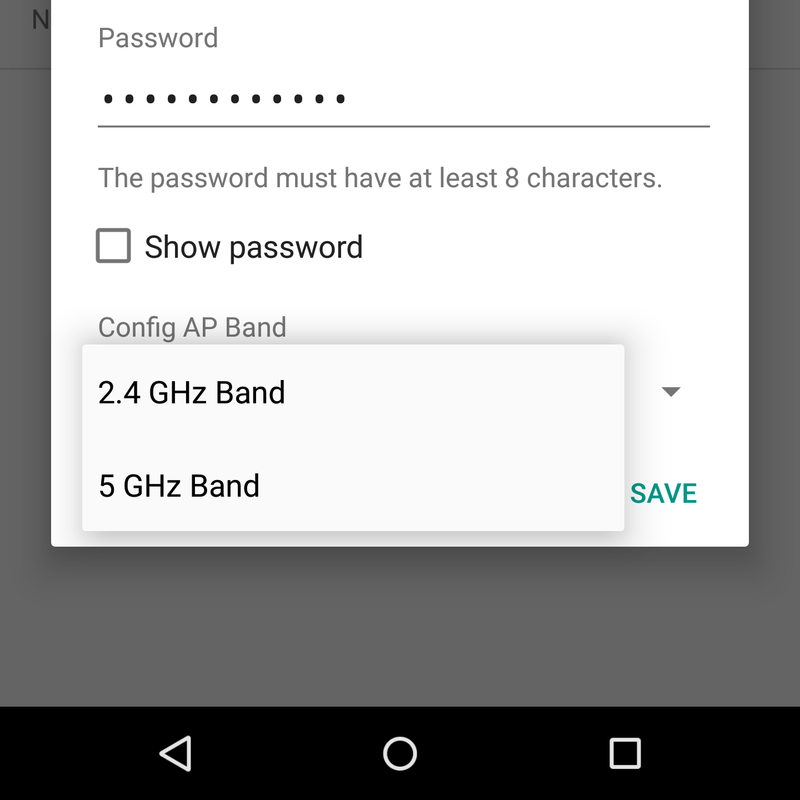 Naturally, the hardware has to support this as well (in the developer preview it's only available on the Nexus 6 and 9), so not all devices will be capable of producing a Wi-Fi signal in this frequency. This feature has been available from various manufacturers for a while, but the big deal here is that it's now a stock feature of Android. 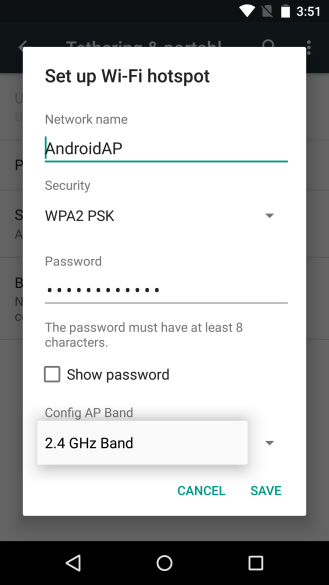 This preview adds support for the Hotspot 2.0 Release 1 spec on Nexus 6 and Nexus 9 devices. To provision Hotspot 2.0 credentials in your app, use the new methods of the WifiEnterpriseConfig class, such assetPlmn() and setRealm(). In the WifiConfiguration object, you can set the FQDN and theproviderFriendlyName fields. The new ScanResult.PasspointNetwork property indicates if a detected network represents a Hotspot 2.0 access point. But yeah, that doesn't mean much to us common folk. To read more about the new features in Hotspot 2.0, check out the M Preview API Overview.